A comprehensive line of medium-, heavy-, and extreme-duty pintle hooks, drawbars, and couplers are offered for both commercial and military applications, all are rigorously tested with safety in mind. 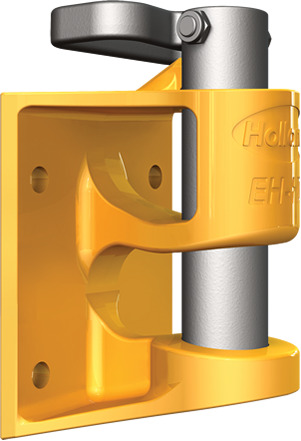 HOLLAND Bolt-on and weld-on pin couplers for industrial material handling and aviation ground support equipment (GSE) applications. Cast steel construction featuring galvanized pin and handle with powder coated frame for corrosion protection.